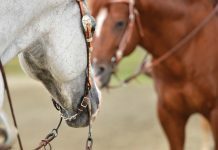 How to tackle the task of cleaning and organizing your tack storage space. 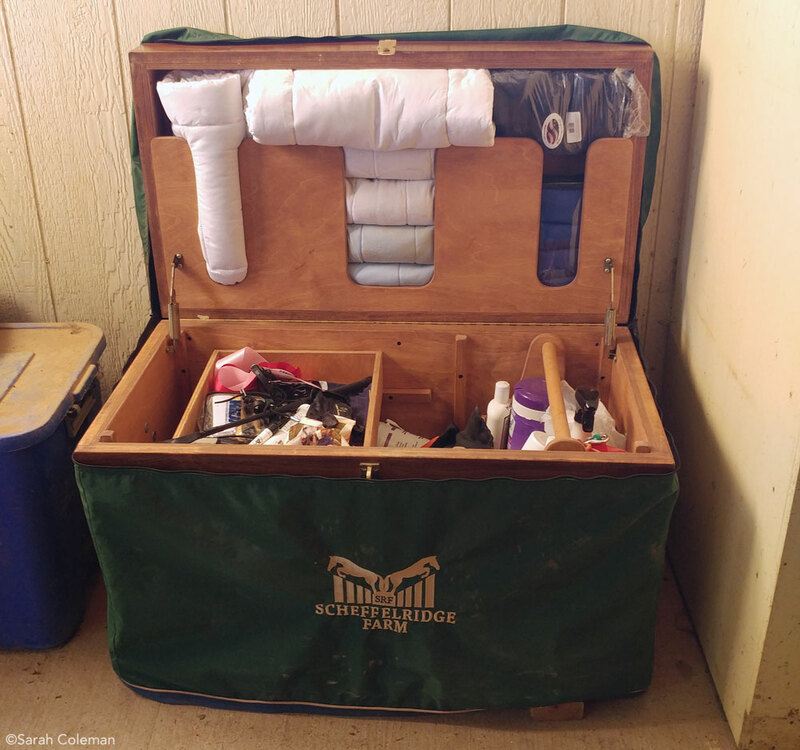 By the middle of summer, your tack trunk or tack locker has probably become a bit of a mess—or, if you’re like most of us with lots to do and not enough time, a HUGE mess! It may seem overwhelming to try to make time to clean out your tack storage area, we promise it will make getting ready (especially if you’re crunched for time) so much faster and easier. So where to begin? The first step to cleaning out your box is to take out everything that is in it (this is probably the most overwhelming part of the cleaning process as you see just how much stuff you have). After everything is out, clean out the box or locker as best you can. Here is where a vacuum or towels and a bucket of water will come in handy to really remove all the built-up gunk and grime. As your tack box is drying, you can begin to sort all the items you’ve removed into sections. The easiest way to do this is to sort things into three piles: use frequently, use sometimes and never use. If there are things you truly never use, consider selling them, giving them away or throwing them out. 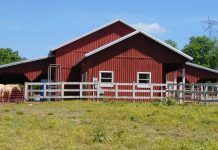 Put things that you don’t use often into storage, either at home or in your horse trailer. 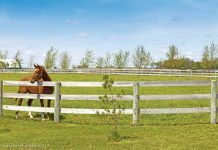 There is a finite amount of room in your tack box, so you want to reserve that space on the most frequently used items. Here, too, is when to decide what seasonal items get the boot to less-accessible areas. Keep only the items in your locker that are in-season right now; place winter items–like heavy blankets and hand warmers–elsewhere so you have the maximum amount of space to work with. In the winter, move summery items like fly masks and show gear to a designated spot in the tack room or in your house. Once you’ve decided what needs to be kept in your locker or box, section out the “use” items. Put like items with like and store them in various-sized containers. Also, if you like to label things, here is your chance! There are multiple options for labeling, including using a label maker, chalk paint, permanent marker, or and duct tape and a pen. Corralling spray bottles can be a bit harder (and really, WHY do we have so many?! ), depending on the height of your trunk. Many people have a separate grooming tote that they use specifically for daily-use brushes (now is a good time to clean them, too!) and sprays. You can use a grooming tote specifically for this purpose, or use something like a milk crate, which prevents these items from tipping over. While you’re in the throes of deep cleaning, don’t forget to check expiration dates on items like medications and supplements (if you store them in your trunk) and refill or throw away any empty product containers. Remember that you don’t have to buy all new containers to complete your storage scheme; many household items come in containers that can be repurposed—lunch meat containers can store spurs and hairnets; large coffee tins can store treats. Shoe organizers are perfect for holding bottles and grooming products in a tack locker. If you do choose to buy storage items for your tack box or locker, be sure you know the measurements of how deep, high and wide your space is so you ensure that what you buy will fit. Also keep in mind that soft-sided containers have a bit more “give,” making the squishier than their hard-sided counterparts. Once everything is clean, you can begin to repack your trunk or locker, making sure you put the most-used items on top, where they are easily accessible.